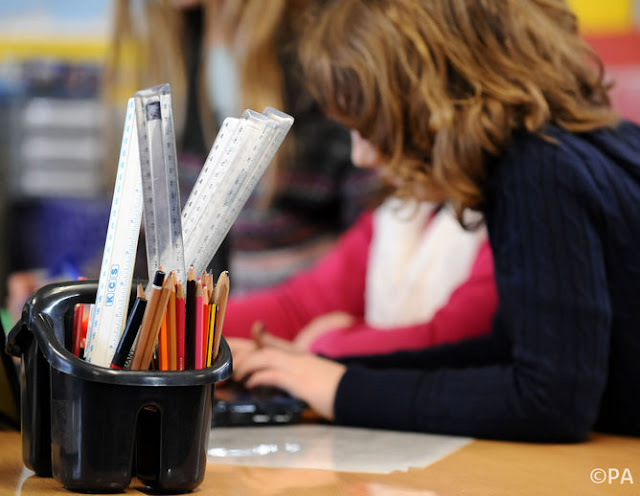 It has been suggested by think-tank Reform that there is no link between class sizes, or the use of teaching assistants and achievement in pupils. It’s a seductive argument for anyone looking to cut spending. The ring fence around education, says Reform’s report, is not justified by better outcomes. Reform’s conclusions are similar to those in several high-profile and widely cited reports from OECD, McKinsey, Grattan Institute and Brookings. But ask any teacher about whether class size matters and they will tell you that of course a smaller class allows for better teaching and learning. Ask them whether having a teaching assistant in the classroom is beneficial and it’s highly likely they will say they are a great help. So who is right? How do we reconcile these two different perspectives – the practitioner and policy perspectives? Are teachers wrong, as some commentators imply? To take class size first, it is striking how much recent reports base their conclusions on three sources of data: cross-country comparisons, meta analyses and econometric analysis. All of these, I believe, only offer a partial view and are therefore flawed as evidence of a causal role for class size. Results from international assessments such as the Program of International Student Assessment (PISA) show that students in the East Asia do very well and also have relatively large classes - and it is often therefore concluded that class size is not important to academic achievement. But the flaw in this argument is not considering why high performing education systems in places like Hong Kong do well, including high levels of parental support, cultural factors that favour education and the prevalence of private tutoring. Meta analyses are based on a large-scale statistical analysis of multiple studies related to the effects of class size. The conclusions have generally been that class size does not have a large influence on student learning. Yet often these analyses include studies of varying quality, age of pupil, research design, and so on. The same problem exists with econometric analyses - studies by economists who often take measures of class size, or more usually pupil/teacher ratios, and develop statistical models of effects that take little account of what actually happens in school. Interestingly these sources of data are also all secondary analyses and typically use other people’s data. In contrast, evidence from two dedicated studies of class size - the Student/Teacher Achievement Ratio (STAR) experimental project from Tennessee and the Class Size and Pupil Adult Ratio (CSPAR) study, which I directed here at the IOE - arrive at similar conclusions: class size matters for the younger pupils in school. Small classes are particularly beneficial for more disadvantaged and initially lower attaining pupils. A limitation of the research examined so far is that it is all restricted to the relationships between class size and academic performance. There has been less research on other aspects of classroom life, such as teaching approaches, teacher/pupil interactions and pupil behaviour. The research we have suggests that class size does affect the amount of individual attention pupils receive and their engagement and active involvement in class. At the IOE we found in a recent study that lower attaining secondary pupils were more likely to be off task in larger classes, when compared to middle and high attaining pupils. Intriguingly, in several countries in Asia, including Hong Kong and Shanghai, class size reduction initiatives have been introduced, not so much to affect educational attainment (after all these countries perform very well in the PISA surveys) but to help teachers bring about higher-order thinking and collaborative learning. This helps explain the disparity between the views of teachers and policy commentators: when thinking about the effects of class size, teachers have in mind a broader and less easily measured set of qualities than simply scores on an achievement test. If teaching were simply about delivering a lecture, Reform and others like them would have a strong case. But as all teachers know, teaching is not simply about presenting information. And what about teaching assistants? Interestingly, the research evidence on which most people draw seems to be the Deployment and Impact of Support Staff (DISS) project) in which we found convincing evidence that pupils with more support from a teaching assistant made less progress at school compared to similar children who has less support. It is therefore quite understandable that some have concluded that investment in teaching assistants, through, for example, the Pupil Premium - which allocates extra funding to support disadvantaged children - is not a good use of money. But what’s important here is how one interprets the results. In a recent book, my colleagues and I argue that the most likely explanation for these results is the way that teaching assistants are used in schools. Often, with little preparation or training, they are assigned a one-to-one remedial role with low attaining pupils or those with special educational needs. This is misguided and helps explain the negative impact on these pupils. In another recent book we show, on the basis of a two-year research project, how schools can fundamentally rethink the way they use teaching assistants, so that they add value to teachers rather than replace them in the case of the most disadvantaged pupils. One of the problems with the debate over class size and teaching assistants is the way that it is presented as a binary choice: either invest in class sizes or in teaching. But these are not mutually exclusive. I suspect we all agree that the quality of teaching is vital, but smaller classes and useful teaching assistants can help teachers provide a more effective education for pupils.